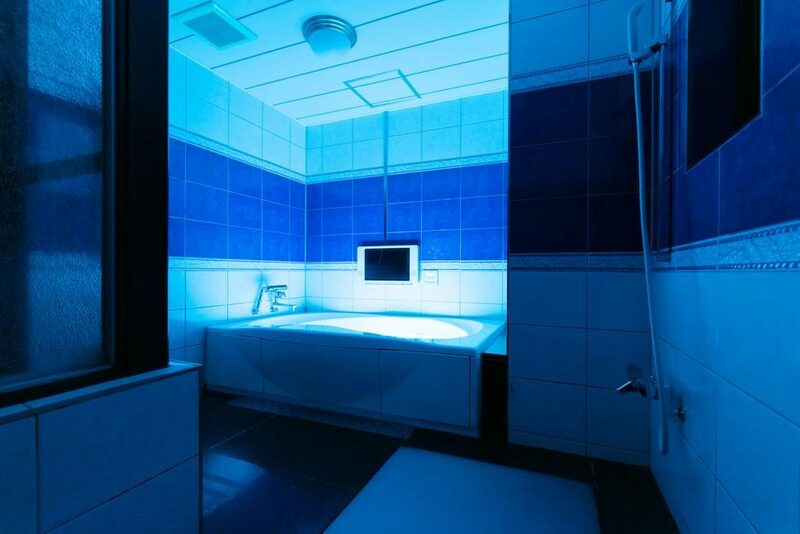 Love Hotel Tokyo – If you know anything about Japan, you’ll likely already be privy to the fact that the country is full of crazy, weird, interesting, and sometimes downright unbelievable establishments. Japan’s a host to a whole slew of interesting businesses that other countries wouldn’t even fathom: maid cafes, robot restaurant, cat cafes, penguin bars, and cuddle cafes, to name a few. In this article we’ll take a closer look at love hotels, one of the most popular types of establishments Japan has to offer both locals and foreigners alike. Read on to get a better sense of the overall concept behind love hotels, as well as our recommendations for the best love hotels that can be found in Tokyo! 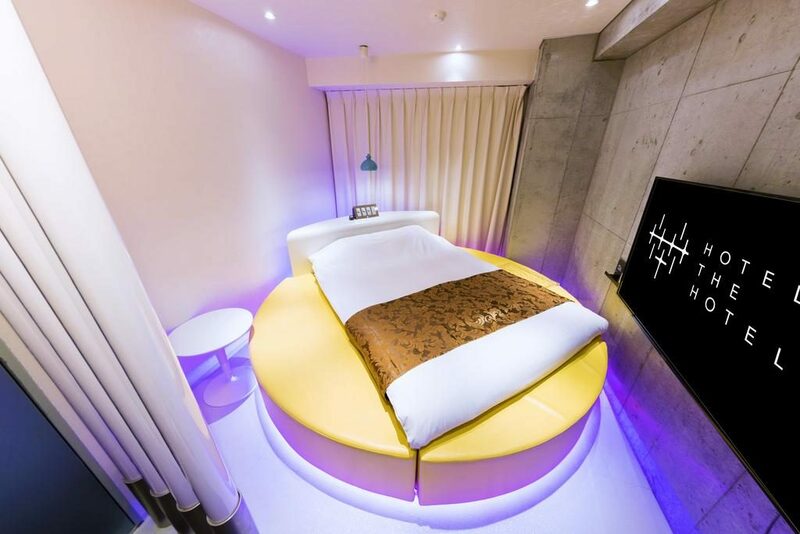 Love Hotel Tokyo – What’s the concept? Dating back all the way to the early Edo Period, love hotels have evolved from disguised establishments with secret passages to the booming Japanese business that they are today. 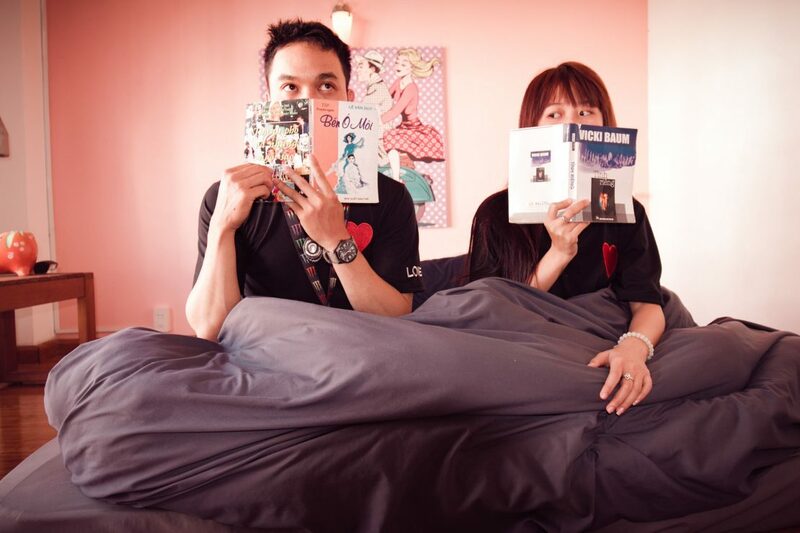 The name was taken from the very first establishment, Hotel Love in Osaka, that was openly honest about what they offered – a place for couples to rest ‘in the name of love’. After the first love hotel opened its doors in 1968, the country soon saw a rapid growth in short-stay hotels that offered sanctuary for those who needed a discreet, private location to be with someone. Today, there are over 10,000 love hotels operating in Japan. Although the hotels were originally created, priced, and advertised for couples or lovers, the market has changed with an influx of curious tourists and those seeking cheaper accommodations for a few hours worth of rest. That’s not to say that the majority of those staying in the hotels aren’t, in fact, using the spaces for their intended purpose! With an average size of 20 square meters per room in each hotel (though some are as large as 80 square meters), there are generally copious amounts of furnishings and extra amenities for guests to enjoy. Even the most basic hotels include: large bath and shower area, large bed, chairs or sofas, and numerous items you can rent during your stay such as massagers, phone chargers, humidifiers, pillows, extra sheets, extra towels, and more! When all is said and done, love hotels in Japan are primarily a place to go if you want to spend a few hours or a night with someone and don’t have anywhere else that the two of you can be alone. 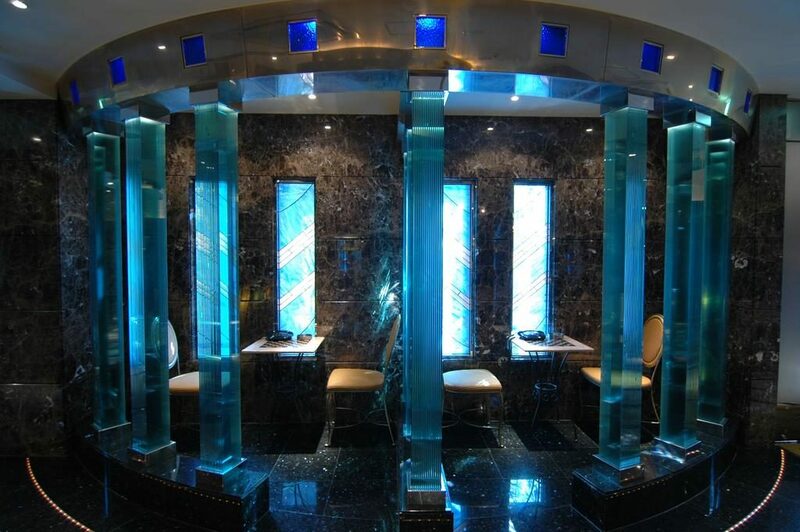 The hotels offer discretion and privacy for their guests, so you don’t have to feel embarrassed or awkward upon using these quirky facilities. 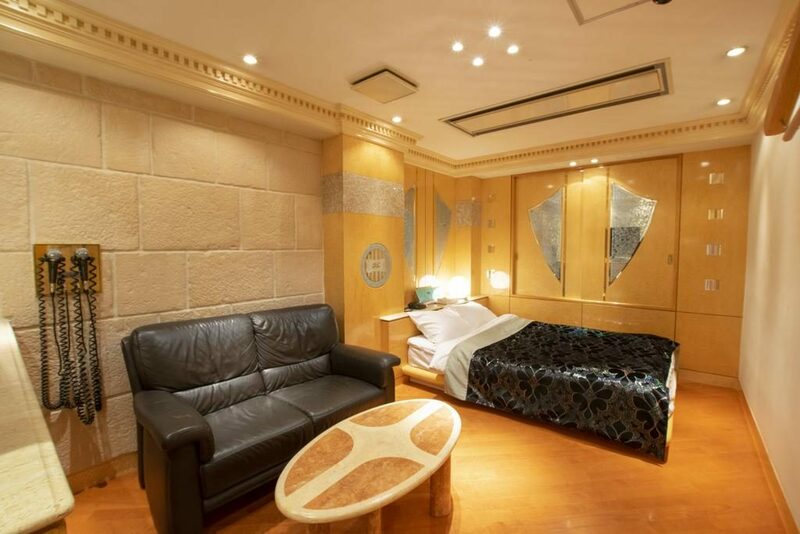 Even if you’re traveling solo or with friends, many travelers find that it’s exciting and fun to experience even a few hours in one of Tokyo’s love hotels! 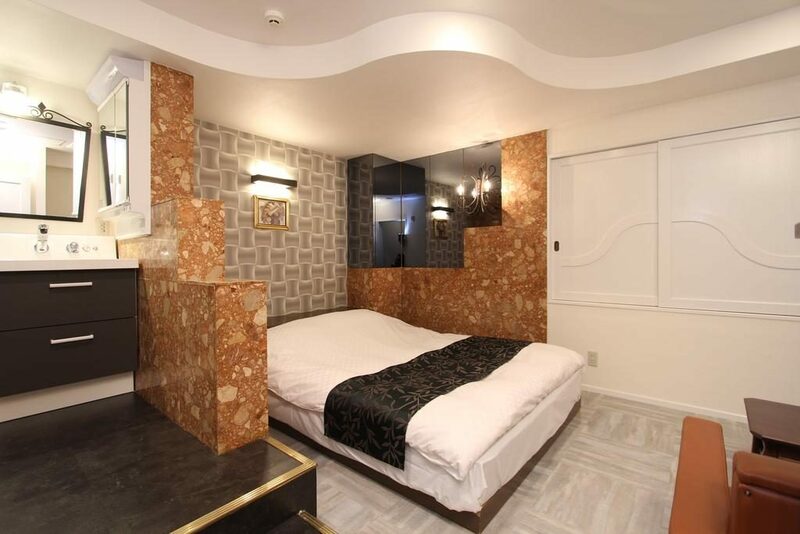 If you’re looking for a hotel that features themed rooms that still have class and style, then Hotel & Spa J-Mex Shinjuku Kabukicho will fit your needs! Every room has a flat-screen TV, Blu-ray player, VOD, karaoke, private sauna, spa bath with a TV, bath robes, slippers, and high quality toiletries. 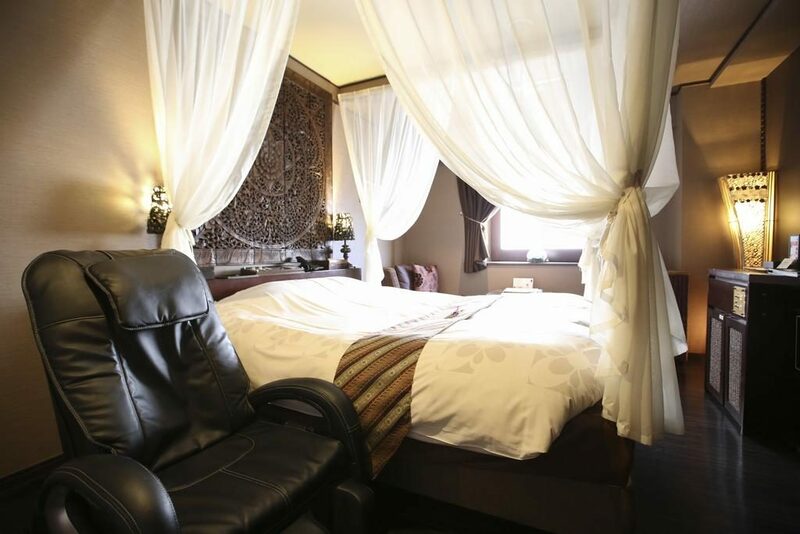 The rooms also come with air conditioning, stunning views of the city, and unique decor. Room service is available upon request, and the 24-hour front desk services ensure that you’re never want for anything! Those that stay at the Hotel & Spa J-Mex Shinjuku Kabukicho generally only have one compliant: that they don’t stay longer! Daily maid service, free-to-use WiFi throughout the property, free parking on site, soundproof rooms, and massive sized rooms all come together to make a stay at this hotel one to remember! You can even dress up in cosplay costumes free of charge during your stay if you’re feeling adventurous! Overall, the fact that you can have an amazing time with karaoke, mood lighting, jacuzzis, costumes, and more in the comfort of your own room is just icing on the cake! 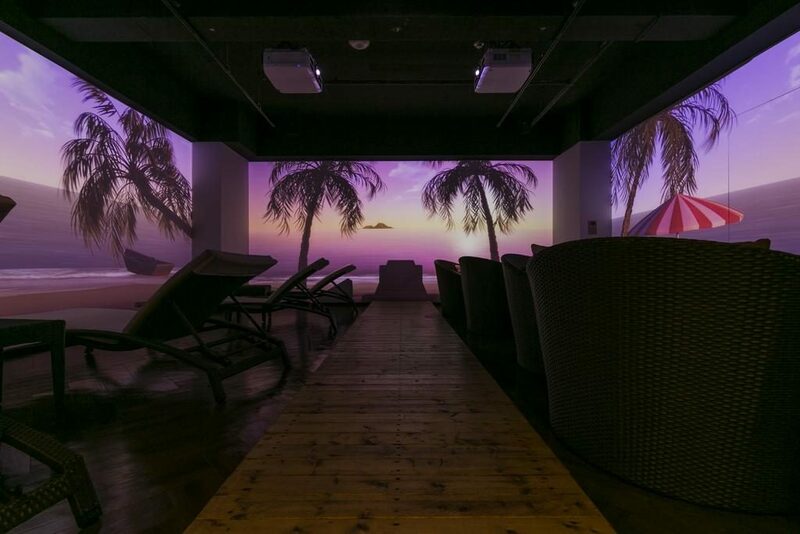 Right next to the famous Shinjuku Golden Gai sits Hotel Balian Resort Shinjuku Island, a love hotel that goes above and beyond to transport guests to a tropic island getaway! The decorations and stylish set up of the entryways and common areas scream Bahamas; there’s a jungle of plants all around you as you navigate wicker and woven furniture before heading off to your relaxing, clean, and oasis-like room. Each room comes with a flat-screen TV, and the en suite private bathrooms also have TVs above the bath and free toiletries. 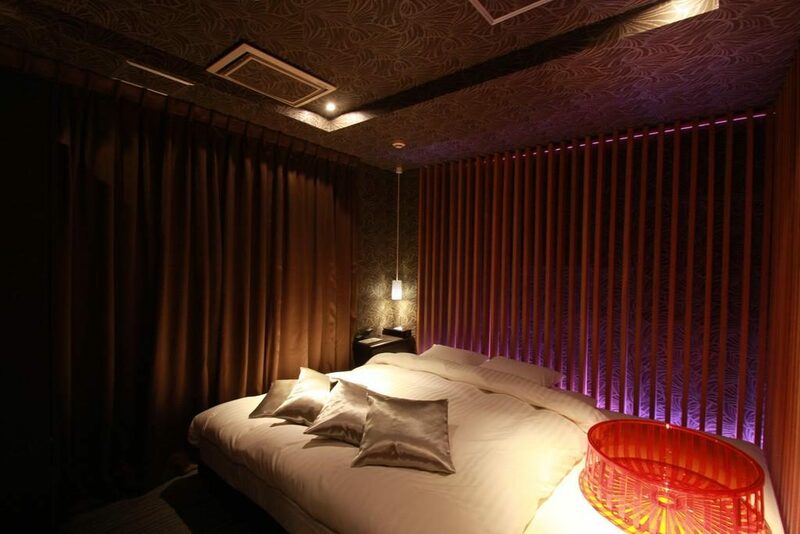 Outside of their spacious, clean, and exquisitely decorated rooms, guests enjoy the common area of this love hotel for its eye-catching appearance and array of activities. Whether you want to sit back and relax, play some darts, enjoy complimentary refreshments, or take a look through the gift shop, there’s almost as much to do outside the rooms as there is inside! 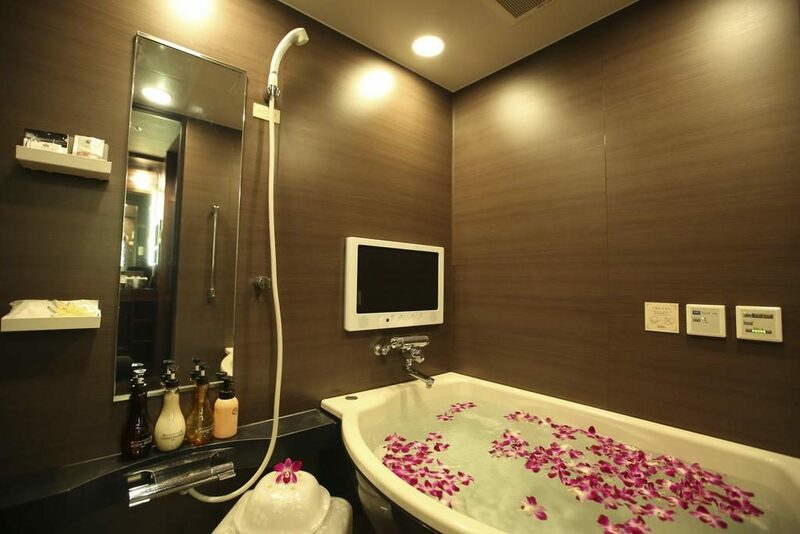 With free WiFi throughout the property and 24-hour front desk service, the amenities found in this love hotel are hard to beat! Just a brisk walk away from the bustling Tokyo Station, Hotel Bristol is a love hotel that will have you feeling like royalty! The rooms are decorated to reflect a higher standard of quality than many other hotels, and the amenities provided are sure to give off an air of refinement. Not only are the rooms decorated with gold accents and mirrored surfaces, but they all come equipped with a flat-screen TV, private en suite bathroom with large bath, microwave, tea and coffee maker, and heating and cooling capabilities. Guests enjoy the privacy they find at Hotel Bristol, but also the helpfulness of the discrete staff who can answer any questions about the hotel and surrounding area. The rooms are well stocked with everything a couple could ever need, including a massage chair and jacuzzi in the bath tub! There’s even karaoke and warm, fuzzy bathrobes to use as well! If you’re willing to pay slightly more than you would at the average love hotel, Hotel Bristol is sure to give you your money’s worth – and then some! Less than a kilometer away from Otsuka Station, the Hotel Granhill is both easy to get to and a pleasure to stay at. The rooms have air conditioning, heating, and are soundproof, and WiFi is complementary to use throughout the property. The 24-hour front desk can store your luggage for you, and even help you figure out where to go in the city and how to best get there. Each room has a spacious seating are in addition to a large bed and a private bathroom. Flat-screen TVs with satellite channels, microwaves, and toiletries are provided to the guests at no additional costs. Those that stay at Hotel Granhill love the convenience that comes with the location of the hotel, as it is near many of the city’s best restaurants, izakaya, and coffee shops. 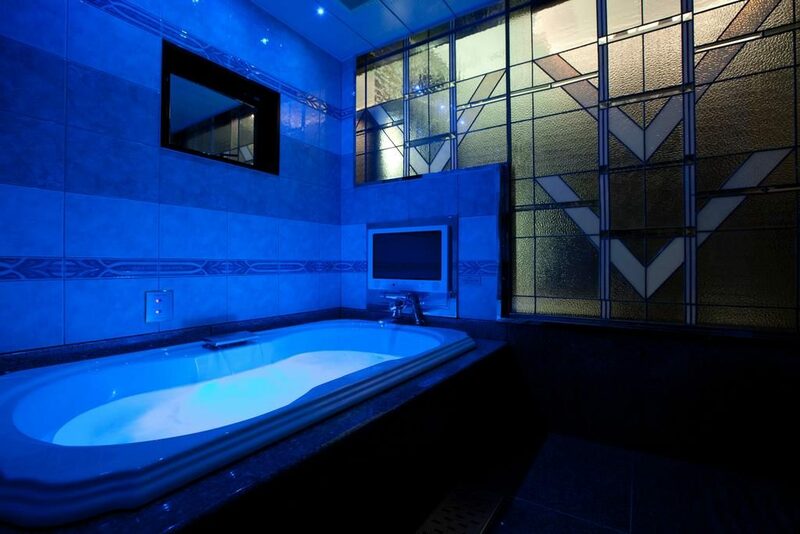 Many highly recommend relaxing with a bubble bath or enjoying the jets of the jacuzzi. Guests are always impressed with how clean and well decorated the hotel is, and many are glad that the large front display of the hotel means never having to get lost looking for it! Follow the classy signs for a great time in Hotel Granhill! By the way, you can read more about weird things to do in Japan here. 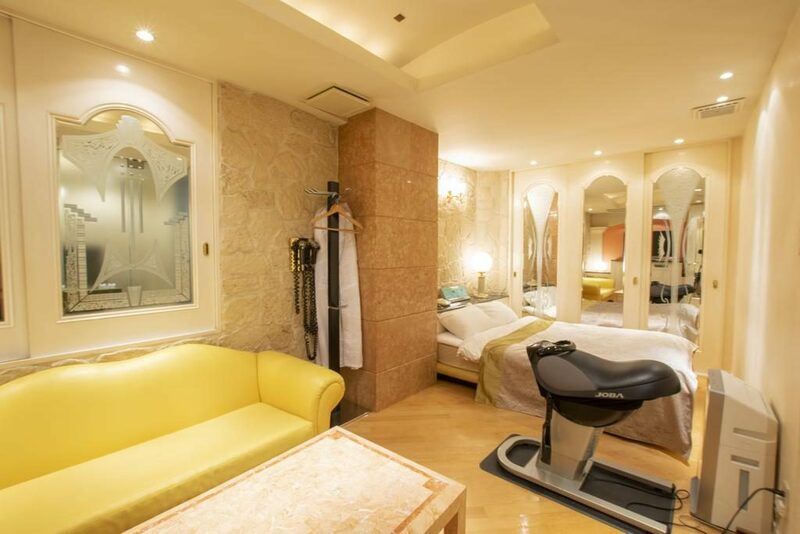 Dive into decadence at Hotel Perrier, one of Tokyo’s most luxurious love hotels! It’s no surprise that you’ll find this larger-than-life property smack dab in the middle of Tokyo’s largest red-light district, Kabukicho! All rooms have air conditioning, a private bathroom with a spa bath, TVs in both the room and en suite bathroom, and free WiFi. TVs in the room have Video-on-Demand, karaoke, and a DVD player for guests to use. Rooms can come with or without traditional Japanese tatami flooring. Guests are wild about how amazing the rooms are at Hotel Perrier! Even with such large beds, TVs, and sitting areas, the rooms still look and feel spacious and open. Everything is carefully organized to meet every guest’s needs, and the staff are always willing to help with any concerns. Many guests are so thrilled to have a massage chair set up right in their room that they almost forget to transfer back to the bed to sleep! All together, Hotel Perrier knows how to keep their guests happy and satisfied! Hotel Hand’s Tokyo is a love hotel that’s committed to providing a clean, simplistic, modern, and functional space for their guests. Instead of using neon colors, themed rooms, and other over-the-top decorations, Love Hotel Tokyo prefers to present rooms that remind guests of home – if their home was a super chic minimalistic paradise! Breakfast is served in the rooms, though room service is available any other time, and each room is equipped with a flat-screen TV, private en suite bathroom with a bath and free toiletries, and a microwave. Guests especially liked Hotel Hand’s Tokyo for their low rates, impeccably clean rooms, and stylistic choices. The staff is helpful, friendly, and available at all hours of the day. Those that stayed the night enjoyed the choice of Asian or Western breakfast choices in the morning, and soundproof rooms meant a peaceful night’s rest for each and every guest! While in the land of the rising sun, you’ll likely want to get a taste of a real Japanese hotel experience. Thankfully, Hotel Edoyado brings together the intrigue of a love hotel with the minimalistic approach of a Japanese-style accommodation! Each room is soundproofed and comes with air conditioning, a private bath with large, spacious bathtub, a flat-screen TV with Blu-ray player, slippers, a hair dryer, and amazing toiletries! Guests are swept up in the beautifully sparse decorations that make the already spacious rooms look even larger and more inviting. 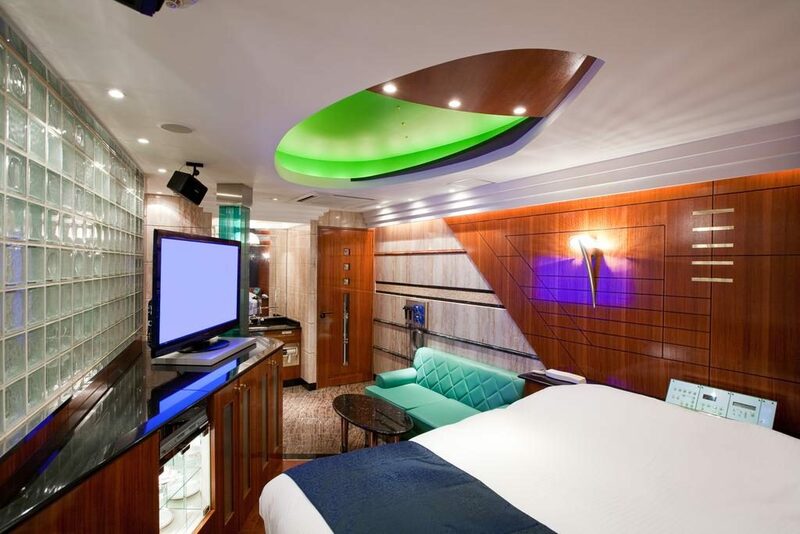 The beds are super comfortable, and futuristic couches are sure to delight anyone and everyone! Staff are very friendly, easy to find, and welcoming, and there are tons of facilities for guests to use and enjoy. The location is great, the rooms are always impeccably clean and beautiful, and the prices are hard to beat anywhere in Tokyo! Love hotels may seem a bit risqué or crass to many people, but in Japan they’re as common and normalized as taking a trip to the convenience store for a snack. With bigger, more lavish rooms set at lower nightly prices than regular hotels, it’s almost hard to pass up the chance to stay at such interesting locations when they make it so easy and affordable to enjoy the quirky side of Japan!